For our review of the M Series 2015, we used the 'Calibrated' picture mode. If you want slightly more aggressive local dimming, use 'Calibrated Dark' instead. 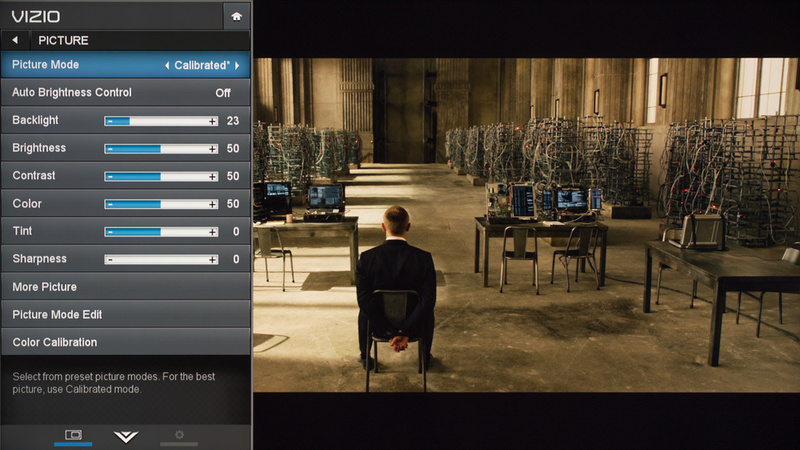 Use HDMI 1-4, not 5, unless you want lower input lag or 60hz @ 4k. Otherwise, the upscaling isn't as good (see the Q&A section of our review for pictures). Increase 'Backlight' if you have a bright room or you find your picture too dim. Do not touch 'Brightness', or you will either clip the shadows or increase the blacks. 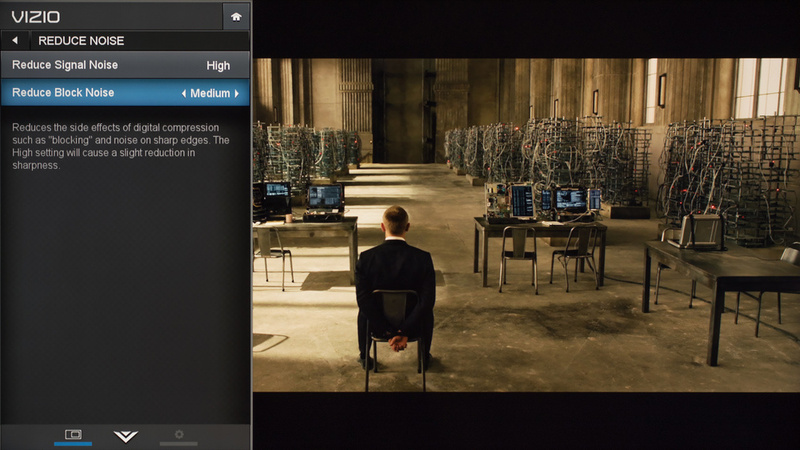 If you are watching 480p or 720p, increase 'Sharpness' to 25. Color Temperature: Normal was the closest to 6500k. If you find it too warm (yellowish), change it to something colder. Black Detail: This setting should be off in almost every case. Otherwise, the picture doesn't have the same shadows. Active LED Zones: See the Q&A section of our review for details, but in short, we don't recommend it in most cases. Reduce Judder: The soap opera effect on 24Hz or 30Hz input signals. See the Q&A section of our review for pictures. Reduce Motion Blur: The soap opera effect on 60Hz input signals. See the Q&A section of our review for pictures. Clear Action: Only reduces the backlight; it doesn't work as it is supposed to. See the Q&A section of our review for a picture. Game Low Latency: Turn that on while gaming to reduce input lag. Also, input lag is even lower on HDMI 5. Film Mode: Leave it to Auto for 24p content (movies). 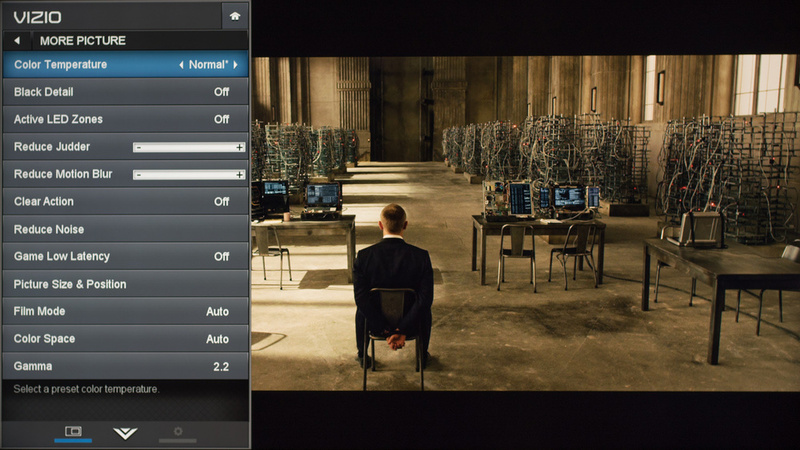 Turn on the noise reduction features if you are watching SD or cable content. If you set 'Reduce Block Noise' to 'High', it results in a loss of sharpness, so we recommend 'Medium' instead. We have removed our color and white balance settings pictures from this page since it appears they became obsolete after one of the past firmware update.